Powder-soft sand and green sparkling seas welcome you to the luxurious island of Anguilla. Only 35 square miles, this upscale, chic destination boasts some of the best snorkeling and white sandy beaches in the Caribbean. Your most difficult choice while on vacation may be which area to go snorkel – Barnes Bay or a deserted cove? Golf today or tomorrow? Should you enjoy a pina colada or a mai tai for your next tropical drink? Should you charter a sailboat to island hop, or rent a Hobie Cat and paddle around the bay? Should you listen to the live music, or join in and dance the night away? Ahh, choices, choices in paradise… Just like your tropical drinks, Anguilla may be small, but it packs a big punch! Need more convincing? Enjoy some of the best golf in the Caribbean at the Greg Norman designed CuisinArt Golf Club or dance the night away at the Moonsplash Music Festival. Come visit Anguilla before the secret is out! 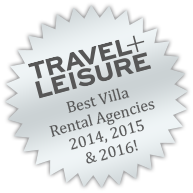 Your Time & Place luxury vacation rental is the perfect home base for your relaxing vacation. Contact our reservation team to start planning your next vacation in beautiful Anguilla. Explore Prickly Pear Cays and experience the best snorkeling in the Caribbean. Charter a private sailing or fishing tour around the many cays and islands. Fresh Anguillan lobster on the beach at sunset? We can arrange that.